In attempting of importing Canon Rebel MOV to iMovie for smooth editing (H.264 MOV is not a suitable editing format for iMovie, which is highly compressed and better for transferring), you are suggested to transocde Canon T4i MOV to AIC(Apple Intermediate Codec), the favorite editing codec of iMovie in advance. The Apple Intermediate Codec (AIC) does not use temporal compression, so every frame can be decoded and displayed immediately without first decoding other frames. The drawback of this codec is that it requires much more bandwidth and hard drive storage space. The following section elaborates how to convert Canon EOS 650D MOV to AIC MOV for iMovie editing. Pavtube HD Video Converter for Mac - this program is good at encoding camera shootings in different formats (H.264 MOV, MTS/M2TS, MXF, etc.) to video editing software compatible file types, i.e. AIC for iMoive, ProRes for FCP, and DNxHD for Avid Media Composer. In this guide, we will run it as a Canon MOV to iMovie Converter to convert Canon EOS 650D (Rebel T4i) to AIC for iMovie. More than dealing with Canon T4i recordings, you can also use it to handle H.264 MOV footage shot by Canon EOS 550D(Rebel T2i), Canon EOS 600D(Rebel T3i), and Canon EOS 1000D(Rebel XS). How to import Canon T4i H.264 MOV to AIC for iMovie ? You can click either "Add Video" button or "Add from folder" button to load source MOV files. If your files are on your desktop, just drag them into the main UI and they can also be loaded without any problem. This may save your time and ease the conversion. If you want to combine the loaded MOV clips into one file, simply tick off the checkbox before "Merge into one file". 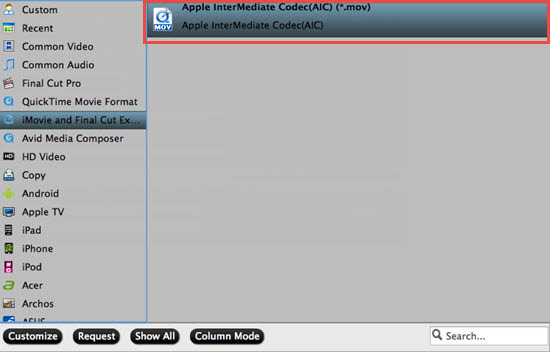 In order to convert Canon T4i H.264 MOV to AIC for use in iMovie, simply hit "Format" menu and follow "iMovie and Final Cut Express" > "Apple InterMediate Codec (AIC) (*.mov)". This preset is tailored for importing T4i/650D H.264 MOV to iMovie. 1. By clicking "Browse" button, you can browse and specify a destination folder for the output AIC files instead of the default save path. 2. By clicking "Settings" button, you are able to enter the "Profile Settings" panel to adjust video and audio parameters for your Canon T4i H.264 MOV source files, including video size, bit rate, frame rate and more. Click the big button "Convert" to start Canon H.264 MOV to AIC Conversion. 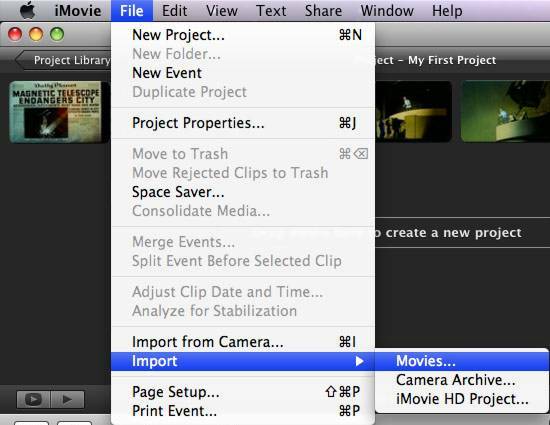 As soon as the conversion is completed, you are able to click "Open" button to get the generated AIC MOV files for use in iMovie. Launch iMovie, and then choose File > Import > Movies to import the converted Canon Rebel T4i (EOS 650D) MOV to iMovie for further editing. 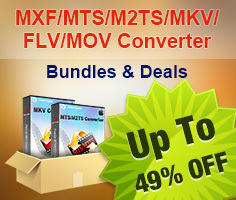 To learn more conversion solutions for Canon MXF clips captured by XF100, XF105, XF300, XF305, and Canon EOS C300, or AVCHD MTS files shot by VIXIA cameras, or MVI/MOV files recorded by Canon PowerShot and EOS DSLR cameras, you are recommended to visit Pavtube's Canon Column page.